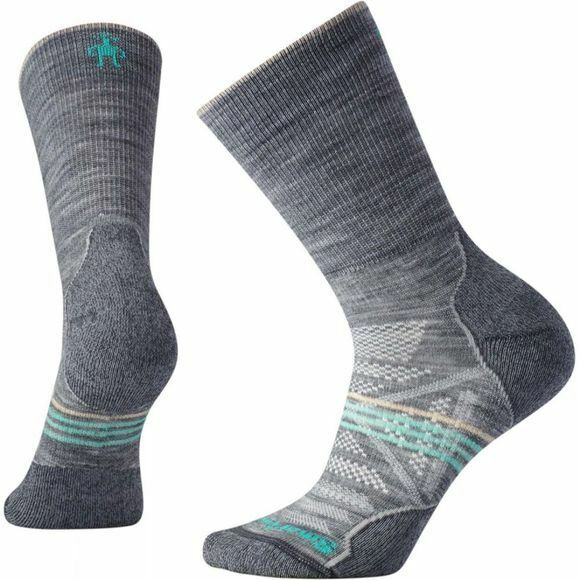 The Women’s PHD Light Outdoor Sock from SmartWool features a women's specific design, this sock stays in place and offers a light cushion for all-day performance. The padded Achilles tab offers additional protection. ReliaWool™ technology in the heel and toe adds more durability than ever before.